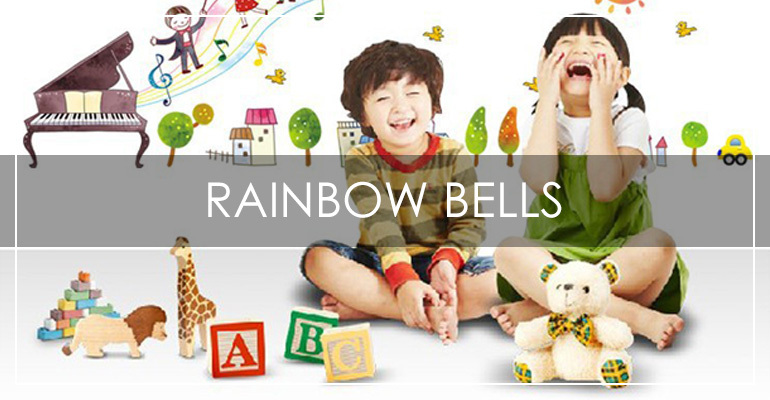 Rainbow Bells is specially designed for children to learn hand bell music. Appealing designed in different colors, little ringers can easily play their favorite tunes by matching the color of the bells. This is a great instrument for children to develop their coordination and aural skills and stay focused. As they learn to play simple songs and gradually connect with mainstream method book, children develop their score reading skill, rhythmic and musical senses. You can organize your own little ringers group with two or three other friends or have your private lesson each week.